Dr. Antonietta Gatti is a physicist with the PhD in Bioengineering at the University of Bologna. At present she is Associate Professor at the National Council of Research of Italy, Institute of Science and Technology of Ceramic materials; Professor at the University of Urbino (Italy) and Visiting Professor at NUARI (Department of State, Washington , USA). In 2012 she was appointed International Fellow of the Union of the Societies of Biomaterials and Engineering. Dr. Gatti is the discoverer of “nanopathologies”, i.e. pathologies due to the exposure to engineered or incidental nanoparticles, responsible of nano-bio-interactions, that cause unknown pathologies. She has an interdisciplinary background that ranges from physics, chemistry, biology, physiology, medicine and pathology. 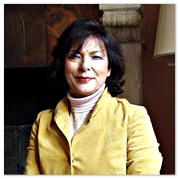 Dr. Antonietta Gatti has a 30-year experience in research in the field of biomaterials and biocompatibility at national and international level in various capacities. In 2002-05 Dr Gatti was appointed coordinator of the European project called Nanopathology through which a new diagnostic clinical tool was developed. The results of the project are described in her book Nanopathology, published by Pan Stanford Publishing (Singapore) 2008. In 2006 she coordinated another European Project called DIPNA (Nanotoxicology) (Development of an integrated platform for the nanoparticles toxicology assessment). In 2004 until 2012 she was appointed consultant of the Italian Governmental Commission on the Depleted Uranium and related diseases and member of the Technical Committee for the Prevention and Control of the soldiers Diseases by the Minister of Defense. In 2005 she was invited at the House of Lords in London foe an Audition. She coordinated Italian Projects (Nanoecotoxicology) also of the Ministry of Defense. Author of about 220 articles in peer reviewed journals and it is under press a new book called Case Studies in Nanotoxicology and Particle Toxicology (Elsevier, USA) 2015. From 1981 she has created the Laboratory of Biomaterials at the University of Modena where he was Professor of Biomaterials at the Faculty of Biotehcnology until 2012. She has been a member of some European Commissions and worked at ISO and OECD for the Nanomaterials Standardization.